Wifey and I didn’t have to go far from home to find the largest rocking chair in the world. It was just about 20 miles down the road from our Ocean Springs home. We were observing a “vacation day” which usually entails eating breakfast at McElroy’s in Biloxi and then coming back to our hometown to feast on drinks at Coffee Fusion. But today was a little different. I told wifey that after breakfast we were going to go to Dedeaux’s, an operation run by a family clan who produce high-quality wood furniture. We had purchased six kitchen table chairs farther back than I want to remember and were sitting daily at a mismatched table. Was it time to make a change? 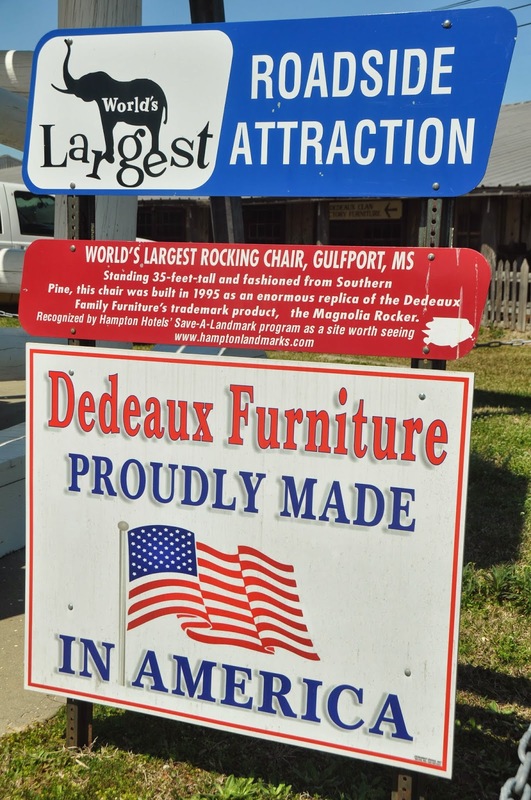 Anyway when we arrived at Dedeaux’s, 11451 Canal Rd, just northwest of Gulfport, we saw this hugh rocking chair outside. 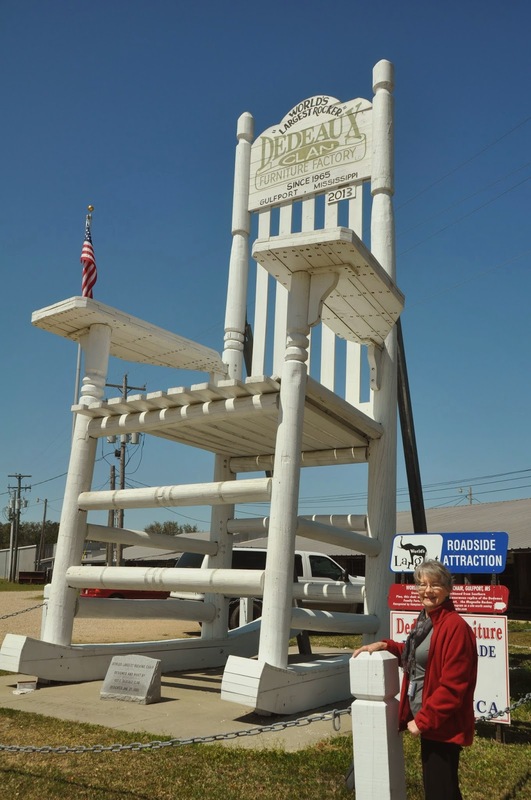 The sign says the chair stands 35 feet tall and is fashioned from Southern Pine. 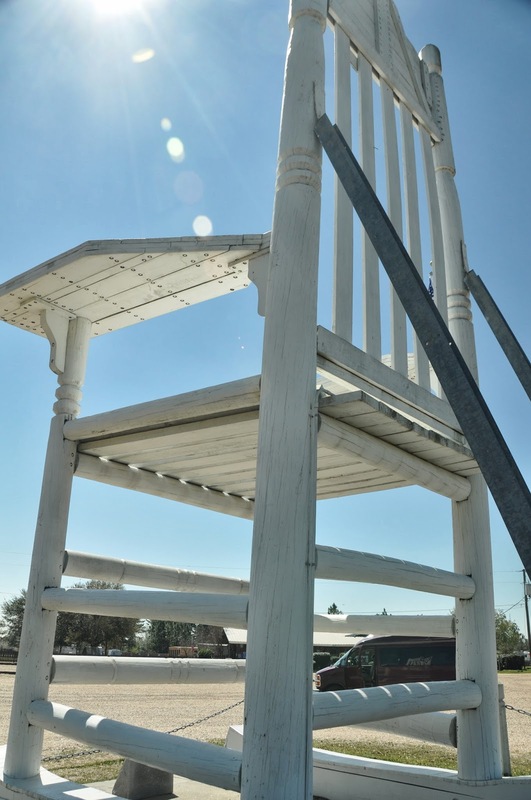 Built in 1995, it is a giant replica for the family’s trademark product, the Magnolia Rocker. After checking out the chair and some tables inside, it was lunch time and we hit Chic Fil A on US 49 in Gulfport and then headed home, stopping off for coffee and tea as we usually do. We enjoyed another great vacation day in retirement.